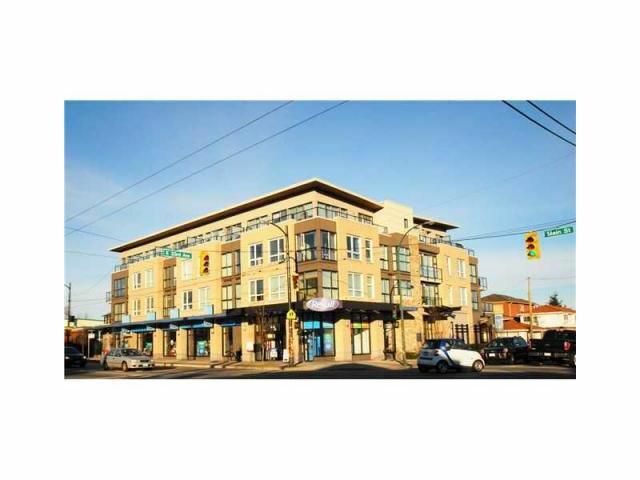 FABULOUS top floor corner penthouse in cozy boutique building, features 200 sf PRIVATE patio, w/ stunning views of the North Shore & Bby Mtns. Situated on the quiet corner of building, this home faces east for beautiful sunrises & peacefulenjoyment of the views. Patio is equipped with water bib for garden lovers. Condo incl radiant bathroom flooring, designer s/s appliances, lam flooring w/ carpet in bedroom. HUGE storage locker, & 2 side by side bike lockers. This home is the essence of LIFESTYLE, located within blocks of fantastic amenities incl Hillcrest Com Centre, Gym, Ice Rink, all nestled in gorgeous QE Park. Walking dist to eateries & pubs. Excellent transit to UBC, Canada Line, & Downtown!